I have some very big news. I am going to be a BIG BROTHER!!!! I am not exactly sure what this means, but my Mommy and Daddy seem to be pretty excited. 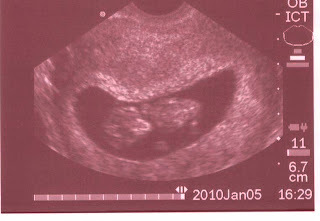 Here is a picture of my little brother or sister! We will find out which one it is in February.